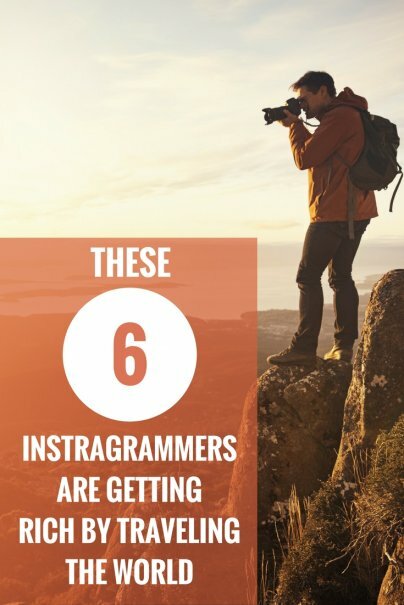 Love taking travel photos and sharing them with your friends on Instagram? So do the social media stars below. They've earned celebrity status — and sometimes six-digit incomes — from the travel snaps they post on the photo sharing giant. Liz Eswein (@newyorkcity and her personal handle @lizeswein) started her account when Instagram first came out in 2010. Perhaps her early entry to the game helps explain how she was able to snag the handle @newyorkcity, which has now accumulated well over a million followers. Eswein posts pictures of New York, one of the most popular tourist destinations in the world. Although her account wasn't initially focused on travel, her success on Instagram has led her to travel to Chile, Namibia, and Dubai for different clients. Her personal account has thousands of followers, and features destinations she's visited such as Tokyo, Seoul, and Jackson Hole, Wyoming. After beginning the Instagram account, Eswein told The New York Times she earned around $50 for a promotional post. But the Gazette Review reports that since then, she's increased her earnings to $15,000 a post, making her one of the top earning Instagrammers in the world. The publisher estimates her net worth at $850,000. It shouldn't come as a surprise that professional photographer, writer, and videographer Chris Burkard (@Chrisburkard) has gained such popularity on Instagram, garnering more than 2 million followers. His account features breathtaking shots from the Arctic Circle (his focus is surfing in freezing waters), Yellowstone National Park, Zakynthos Island in Greece, and many other places. Julie Sariñana is a blogger from Los Angeles, California. She began her blog in 2009 writing and posting about fashion, travel, and lifestyle. Today her Instagram account (@sincerelyjules) has an audience of more than 4 million followers. As of June 2016, Gazette Review calculated her net worth at $800,000. She makes money by promoting products on her Instagram account and writing fashion articles. She also has her own fashion line, Shop Sincerely Jules. Julia Engel's Instagram account (@juliahengel) is focused on fashion and travel. Based in Charleston, South Carolina, Engel posts photos of destinations including the Bahamas, Iceland, and Miami on her account. She's parlayed her 1 million Instagram followers into $1.5 million, as estimated by Gazette Review. Some of her earnings are generated from a shopping app called LIKEtoKNOW.it, which allows Instagram followers who like a product they see in one of Engel's photos to be directed to a website where they can buy it. Engels reaps a commission from every sale. Emilie Ristevski's account @HelloEmilie has about 400,000 followers. This Australian traveler started posting on Instagram when she was still in university and her travel-related posts attracted so many travel offers that she was able to turn Instagram posting into a living once she graduated, according to an interview with AWOL. Some of her favorite destinations? Petra, Jordan, and New Zealand's Milford Sound. She has worked brands including Moet and AirAsia. Brooke Saward is the woman behind the @worldwanderlust Instagram account. Originally from Australia, her travels have recently taken her to Lake Como, Italy; Paris, France; and throughout Japan. With more than 600,000 followers, she's attracted diverse brands such as Bose Australia and smartphone e-tailer Honor Global to work with her. At just 24 years old, she's been featured in Elle and Glamour. Her rates are unpublished.